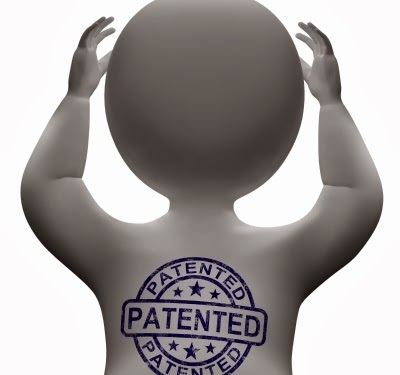 On January 22, 2014, the US Supreme Court issued a ruling in Medtronic Inc. v. Mirowski Family Ventures LLC sure to garner the interest of the US patent bar. A unanimous Court found that the burden of proving infringement of a patent lies with the patentee; even when the latter is a defendant in a declaratory judgement action for non-infringement initiated by another party. The Petitioner Medtronic designs and manufactures medical devices. The Respondent Mirowski owns certain patents relating to “implantable heart stimulators”. The Petitioner and Respondent entered into a license agreement by which the Petitioner would have the right to practice the Respondent’s patents in exchange for royalty payments. The license contained provisions under which the Respondent could challenge whether certain products manufactured by the Petitioner embodied the patent. The Respondent did make such a challenge; the Petitioner disagreed. Upon the breakdown of negotiations, the Petitioner brought an action for declaratory judgement in the Federal District Court in Delaware, asking the Court to declare the disputed products as not infringing the Respondent’s patents. The Trial Judge granted the motion placing the burden of proving infringement on the Patentee, the Defendant in that proceeding. This holding was reversed on appeal by Court of Appeal for the Federal Circuit following its own reasoning in MedImmune, Inc.v. Genentech, Inc., 549 U. S. 118, 129. In that case, the CAFC found that specifically in the case of a license, when a licensee brings a claim under the Declaratory Judgement Act, it has the burden of proving non-infringement. Writing for a unanimous Court, Justice Breyer reversed the CAFC, agreeing with the Trial Judge that the burden of proving infringement should lie with the patentee in these circumstances. The Court’s ruling in this case effectively overturns the CAFC’s holding in MedImmune. The burden of proof in a regular infringement action lies with the patentee. Justice Breyer found that it would be consistent for that burden to remain with the patentee even when they are not responsible for initiating proceedings. The declaratory judgement mechanism is a procedural one. The Court made clear that the substantive law, including which party has the burden of proof and persuasion, should remain unchanged from a full-length proceeding. Suppose the evidence is inconclusive, and an alleged infringer loses his declaratory judgment action because he failed to prove noninfringement [sic]. The alleged infringer, or others, might continue to engage in the same allegedly infringing behavior, leaving it to the patentee to bring an infringement action. If the burden shifts, the patentee might lose that action because, the evidence being inconclusive, he failed to prove infringement. Justice Breyer therefore found that in addition to there being no legal reason to shift the burden away from the patentee, it is also in the best interest of the administration of justice to maintain consistency across long and short-form infringement proceedings. In oral argument back in November of 2013, Justice Kennedy asked counsel for the Petitioner, Mr. Seth P. Waxman, if his argument required that a claim of infringement be made by the licensor in the first place (as was the case here). The Court chose not to address this in its judgement. It would appear, however, that since Federal Courts do not have jurisdiction to hear hypothetical cases (See Muskrat v. United States, 219 U.S. 346,362 (1911)) the action would likely have been thrown out for want of jurisdiction. Article III of the US Constitution restricts the Federal Courts to hearing “cases and controversies”. The Petitioner would therefore likely have been precluded from seeking an advisory opinion had the Respondent not made allegations of infringement in the first place.